NOTE :: As a result of holiday delays, this week's audio will probably be posted on Sunday afternoon / evening. 1000 apologies and thanks for your patience. 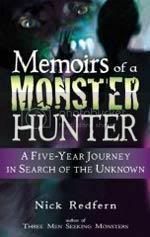 THIS WEEK : Nick Redfern, "Memoirs of a Monster Hunter"
Ultra popular former BoA : Audio, Season One guest Nick Redfern returns to the program to help us close out 2007 and talk about his latest book, "Memoirs of a Monster Hunter". We'll discuss the personal elements to "Memoirs", Nick's big picture thoughts on what is really at work behind paranormal phenomenon, some fascinating perspective from Nick on present day Ufology, the deification of Roswell and how it could inadvertantly be devastating for the field. We get Nick's thoughts on handling new story leads, his field work in Texas looking for ghost lights, his two trips to Puerto Rico and how they changed his thoughts on the Chupacabra. Plus, the synchronicity theme of "Memoirs", UK field research v. US field research, the "lost mysteries of esoterica", questions from BoA staff and listeners, and tons more. It's an enlightening two hour conversation with one of the fastest rising superstars in esoterica, Nick Redfern. BoA : Audio will be on our annual winter hiatus. Throughout January, we will be taping a whole new batch of interviews for 2008, featuring key figures in various esoteric fields. All new BoA : Audio episodes will return at the end of January. Ufology legend Stanton Friedman returns to the program for our third annual BoA : Audio Holiday Special. 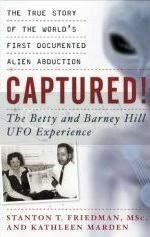 Stan will be talking about his new book "Captured : The Betty and Barney Hill Experience", Ufological history, and science v. UFO studies. We give Stan the floor for the first half hour as he goes over, in tremendous detail, a variety of elements to the Betty and Barney Hill abduction case including the role of the case in getting people interested in the UFO phenomenon, the importance of Dr. Simon to the veracity of the case, and why the Star Map aspect is key to the whole story. 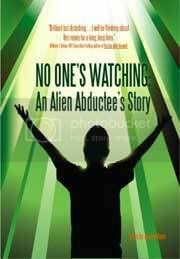 There's also a great discussion on Ufological history, especially the immediate post-Condon period of UFO studies and why things seemed to go so wrong for Ufology from there. Stan talks about the incorrect assumption by skeptics regarding repeatability as tantamount to studying UFOs, esoteric elements to the Hill case, his interest in pilot shoot-downs of UFOs in the 1950's, his next book which he dubs his "magnus opus", and, of course, tons more. It's our fourth interview with Stan, his third holiday special on BoA : Audio, and another classic interview to stand alongside his previous visits to the show. NEXT WEEK : Nick Redfern, "Memoirs of a Monster Hunter"
NOTE :: Much like last weekend, this week's audio will almost certainly be delayed, due to a variety of circumstances. So ... expect the show to be posted on Sunday evening or so. 1000 apologies and thanks for your patience. 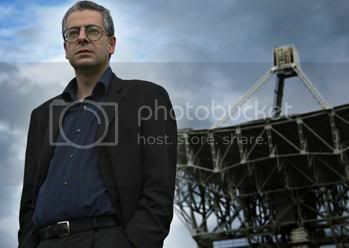 One of the most frequently requested guests over the last two years finally comes to BoA : Audio, as the venerable Nick Pope joins the program. In this conversation, we'll discuss a myriad of topics, including but not limited to: his role in investigating UFO reports for the Ministry of Defence, what's become of his post in the last few years, the unique circumstances to his meteoric rise to fame in esoteric and mainstream circles, how extensive his interraction was with US/UK UFO groups and other international officials during tenure as MOD UFO investigator, the 1993 Cosford incident, the UK UFO files, what became of the "best cases" that Nick investigated, the media firestorm surrounding his comments from last November, his thoughts on 911, Ufology v. Science, and tons and tons more. Having heard countless interviews with Nick over the years, we aimed to bring some new questions and new points of view to the table. The result was an enlighting discussion on Ufology, including exploration of some of our favorite topics like the sociology of the UFO field and the international nature of UFO studies, amongst other heady topics. We usually don't announce the guest until the episode is taped and this episode is scheduled to be taped on Wednesday 12.19, to air over the weekend of 12.22/23, just in time for the holidays, so we'll hold off on revealing the guest's name. But, long-time BoA : Audio listeners should be able to figure out who the guest will be, as '07 will be his third year on our holiday festivus. Full preview to be rolled out next week. NOTE :: Due to a hectic weekend, there's a very good chance that this week's audio will be delayed until Sunday afternoon / evening. Thanks for your patience. THIS WEEK : Jeremy Vaeni, "Culture of Contact"
One of the most frequently requested guests over the last two years finally comes to BoA : Audio, as the venerable Nick Pope joins the program. In this conversation, we'll discuss a myriad of topics, including but not limited to: his role in investigating UFO reports for the Military of Defense, what's become of his post in the last few years, the unique circumstances to his meteoric rise to fame in esoteric and mainstream circles, how extensive his interraction was with US/UK UFO groups and other international officials during tenure as MOD UFO investigator, the 1993 Cosford incident, the UK UFO files, what became of the "best cases" that Nick investigated, the media firestorm surrounding his comments from last November, his thoughts on 911, Ufology v. Science, and tons and tons more.